Join us for a celebration fundraiser for the Colorado Healthy Rivers Fund (CHRF). CHRF grants money to on-the-ground projects that contribute to cleaner water, healthier wildlife habitat, improved recreation and vibrant local economies throughout our state. The Colorado Healthy Rivers Fund has granted funding for more than 80 projects statewide. See some of our Past Project Highlights. Denver, June 8, 2015. Photo credit Climate Reality Project. California solidified its role as a world leader on climate action as Gov. Jerry Brown signed legislation on Monday to shift the state to 100 percent carbon-free electricity by 2045. The legislation is one of the crowning environmental achievements of Brown’s administration, which ends in January, and comes on the cusp of a Global Climate Action Summit that he is hosting in San Francisco beginning Sept.12. In a summer when California has been fighting record wildfires while facing off against the Trump administration’s attempts to rollback climate policies, the state’s Democratic-controlled legislature sought to double down on its commitment to shift away from fossil fuels. Last year’s attempt to pass the legislation fell short. This year, it made it. “After a grueling year it has finally passed,” state Sen. Kevin de León, the Los Angeles Democrat who sponsored the measure, wrote on Twitter on Aug. 28 after the Assembly voted. De León, who is challenging fellow Democrat Sen. Dianne Feinstein for her U.S. Senate seat in November, was in the Assembly chamber to help round up the final votes. “Our state will remain a climate change leader,” he said. Click here to go to the website. Click here to register. Outdoor watering accounts for more than 50 percent of municipal water use in Colorado on average. Photo by Eric Sonstroem. Grand Junction residents saved nearly 18.5 million gallons of water since mandatory outdoor water restrictions started in August, according to city officials. The savings are based on water use estimates for last year, said city Water Services Manager Mark Ritterbush. 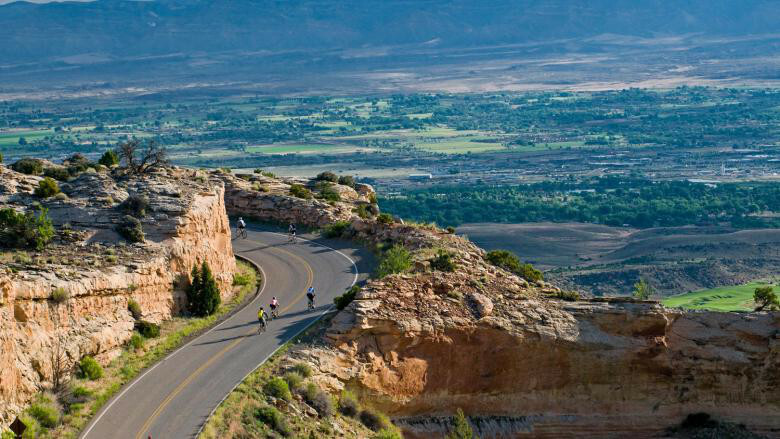 The biggest drop in water use came immediately after the restrictions went into effect, which also happened to be the day that Grand Junction saw a massive rainstorm. The storm dropped .91 inches of rain on Grand Junction over the span of just a few hours on the evening of Aug. 21, according to the National Weather Service. City water use dropped from 8.1 million gallons on Aug. 21 to approximately 5.1 million on Aug. 23. Ritterbush said it’s typical to see a significant drop in water use after a rainstorm. 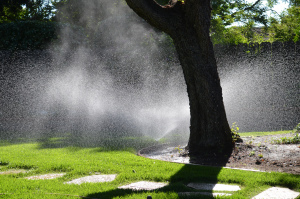 Current restrictions mean city water customers are limited to twice-weekly outdoor watering through September, which drops to once-a-week outdoor watering in October.